The cows graze all summer in the mountains and the flora in their particular meadow imparts the cheese with its own unique taste. Some say you can taste the cheesemakers themselves in the cheese they produce. Two months ago my Luusmeitschi was hiding under her grandparent's kitchen table. Just as I decided that I'd have to get down on my knees to pull her out, my father-in-law, a veterinarian, came in with a kilo wedge of cheese that he'd gotten from the alp he'd been working on. I could see my girl sniff the air. Her grandfather bent down to peek under the table, and faster than you could say "Chääs", she was out from under the table and in his arms, gazing at the wedge with a big grin on her face. We blinked and a baby sized bite was gone from the cheese—and the Luusmeitschi was giggling along with the rest of us. Add that to a biscuit and you've got yourself one powerful baked good. When I say biscuit, I mean a buttery, savoury, biscuit and gravy, scone-style, tea biscuit, not the thin and crispy, mostly sweet and sometimes savoury, British variety. And when I say Alpkäse (alp cheese) I mean cheese that is produced only in the summer on the alp, as opposed to Bergkäse (mountain cheese), which is produced in mountain villages the whole year round. The original tea biscuit recipe comes from the Complete Canadian Living Cookbook, page 261, and has been my standard biscuit recipe for over a decade. The addition of Alp cheese elevates this humble scone to something divine. 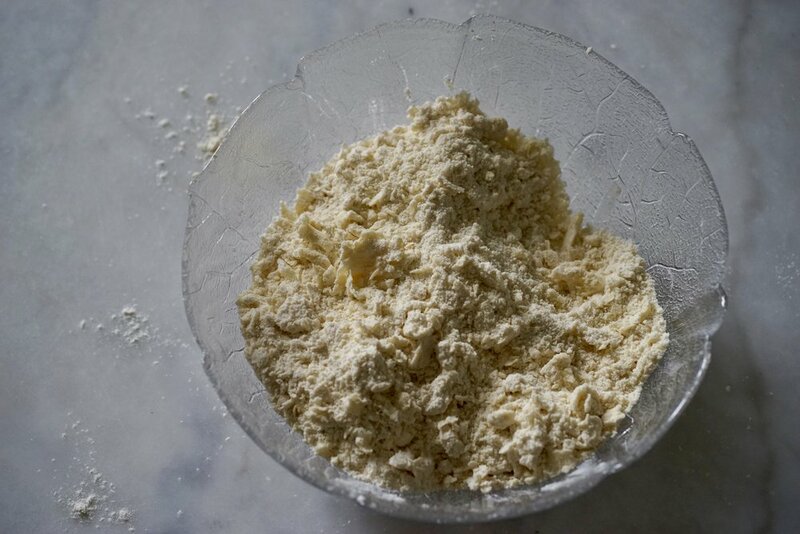 Add the butter and rub it into the flour mixture until you get small flakes. Add the milk and mix briefly until the dough comes together. Mix in the cheese. Dump the whole bowl out onto the table and form into a mass, then gently roll it out. Cut it out with a cookie cutter, or glass dipped in flour. Re-roll when necessary. Place the biscuits on a parchment lined baking sheet. In a small bowl, whisk an egg, then brush this over top of the biscuits. Bake for about 12 minutes, or until golden. 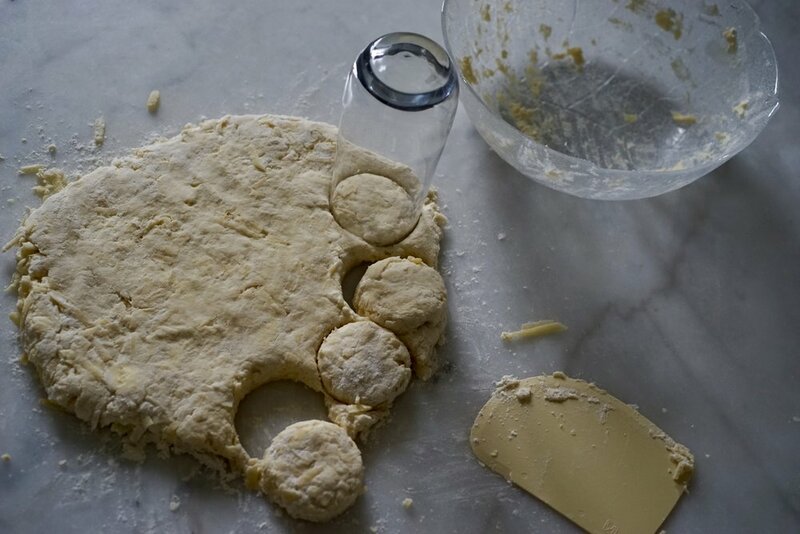 You can also simply slice your biscuit dough into squares, which means you don't have to re-roll. These are perfect for the freezer. Roll and cut, then freeze, unbaked. When you are ready, pop the frozen rounds on a baking tray, and bake as instructed (you may have to add an additional minute or so).